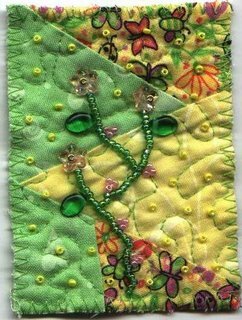 So busy…need…break….. – Cheryl Sleboda – Textiles. Technology. Texture. Teacher. Ok, so my ATC stuff showed up, YAY! 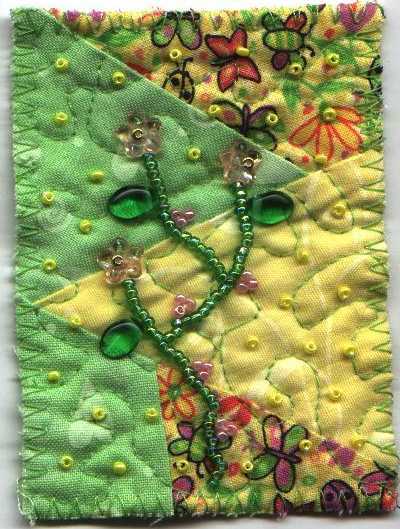 Now I can make a few paper ATCs for gifts in the trades. I’m itching to make something out of the dryer sheets in the next couple of days as well. My second circle project revolves around the “principles and elements” of art. One concept, the circle, interpreted as many ways as possible using the principles and elements. I’ll post pics soon. 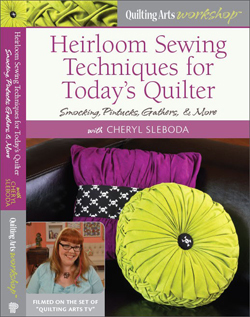 I really need my OK Quilters to move on to another topic soon. I’m burning out on circles…. The last of my current ATCs went out the door this week. Beads. Very cool.